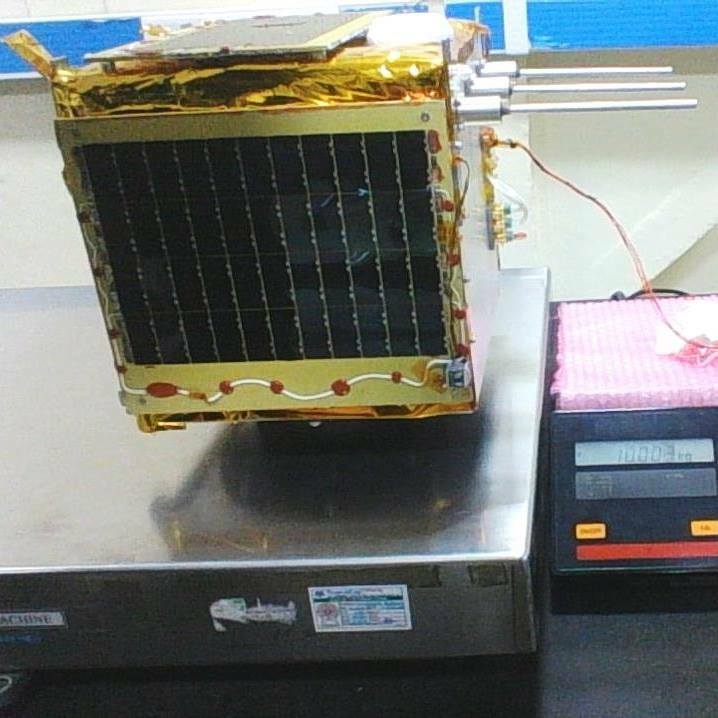 Pratham is a microsatellite developed and operated by the Department of Aerospace Engineering at IIT Bombay. 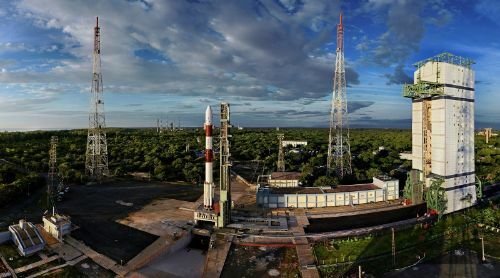 The mission was developed in under three years as a student initiative with mentorship provided by scientists from the Indian Space Research Organization. The 10.2-Kilogram satellite measures 31 by 34 by 47 centimeters in size and aims to complete a four-month mission dedicated to the measurement of electrons in Earth’s ionosphere. 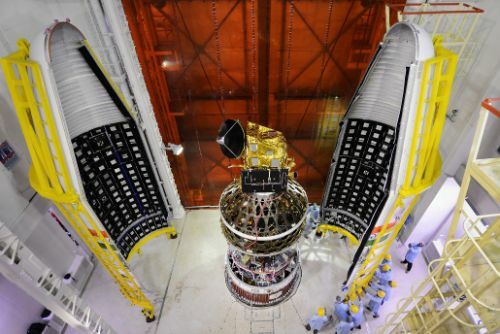 The satellite hosts four body mounted solar panels of 22 x 22 centimeters covered with 19% efficiency solar cells feeding a 6.6 Amp-hour battery assembly that operates at a discharge voltage between 6 and 8.4V. Voltage converters deliver stable 3.3, 3.6 and 5V power supplies for the various onboard electronics. 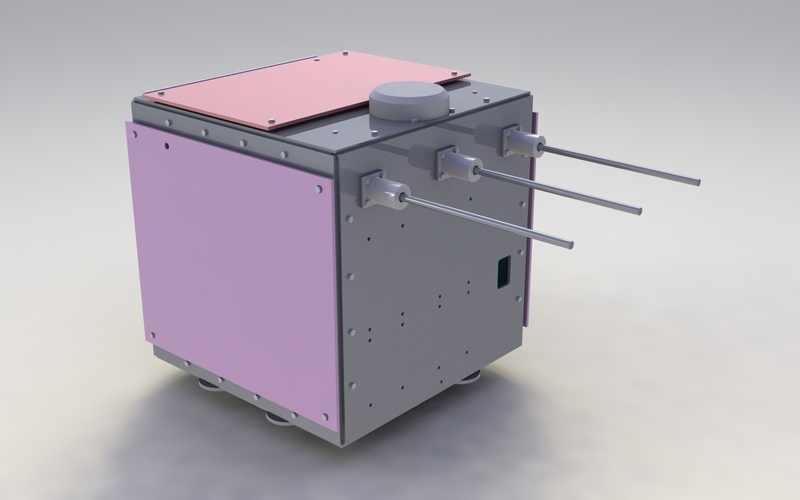 The primary payload of the Pratham Satellite aims to measure the ionospheric Total Electron Content (TEC) utilizing the Faraday Beacon method. A pair of parallel monopole antennas installed on the satellite transmit linearly polarized radio waves at frequencies of 400 and 433 MHz. The plane of polarization between the two signals will rotate as the satellite travels through the ionosphere. With the known and finely tuned frequencies of the two emitters and measurements of the polarization though Yagi antennas the TEC value for the column through which the signals passed can be calculated. A number of ground stations are in use to enable the determination of electron distribution in different ionospheric layers. Knowledge on the Total Electron Content is beneficial in the correction for time delay and range error in satellite-based navigation. Another aspect of study is the influence of solar activity on TEC. Mission success criteria for Pratham, as an educational project, begin with the successful assembly of the satellite flight unit. Acquisition of signal and good functionality after launch would be a full success of the mission, collection of TEC data is considered a bonus. 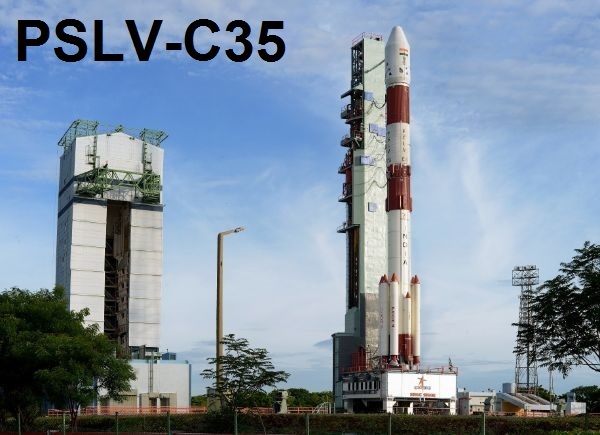 Copyright © 2019 PSLV C35 | Spaceflight101. All rights reserved.